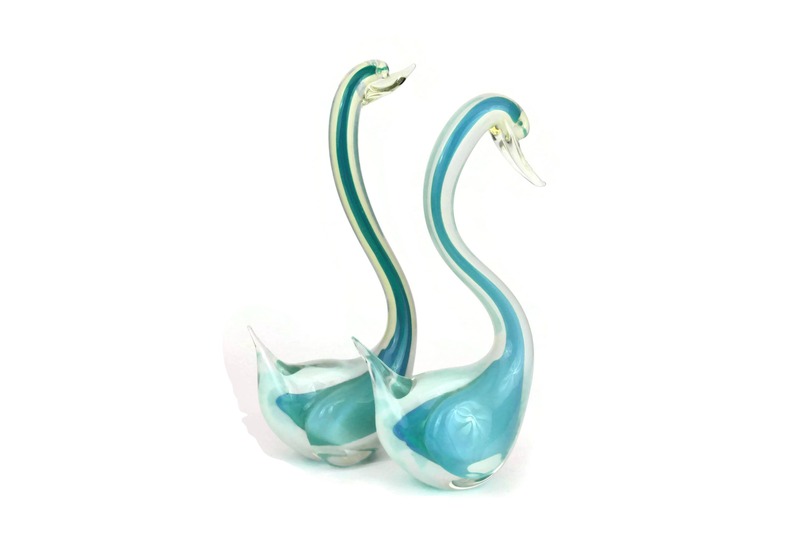 Pair of Vintage Murano Glass Swan Figurines. 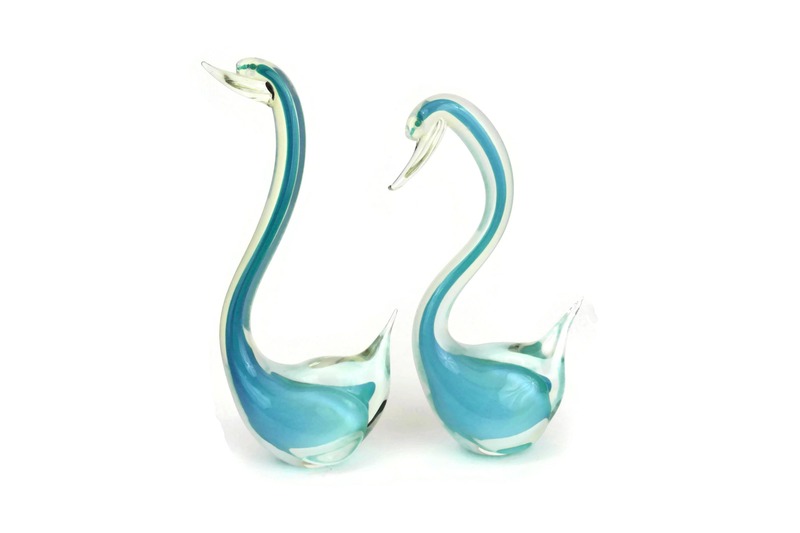 A magnificent pair of vintage Italian Murano glass swan figurines dating to the mid century. 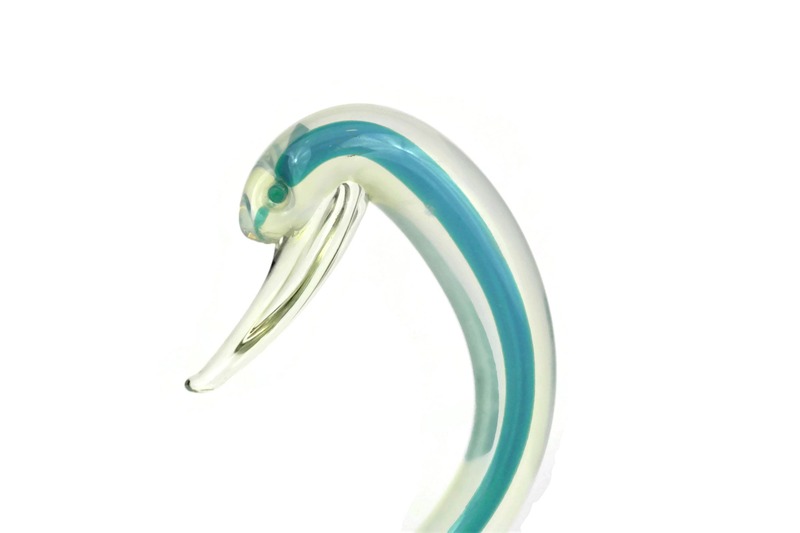 The blown glass art sculptures feature beautiful details and are filled with character. 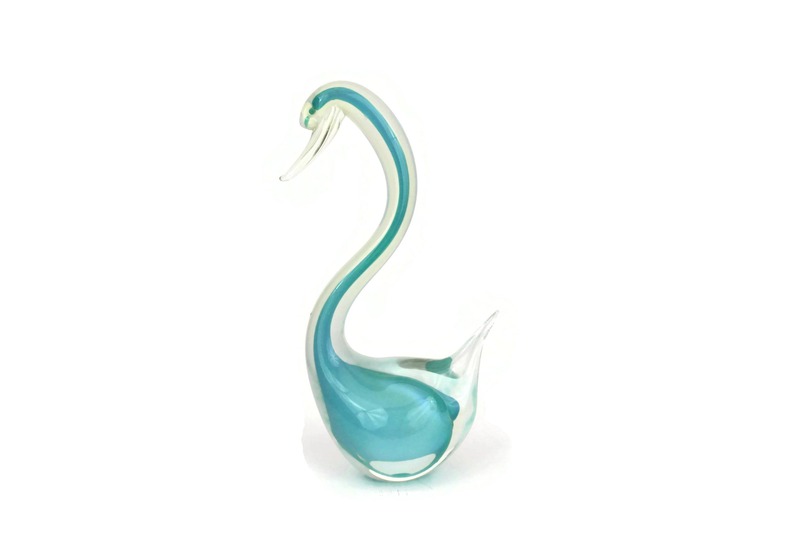 Each of the elegant glass bird figures features light turquoise blue glass cased in clear glass. One is slightly taller than the other. 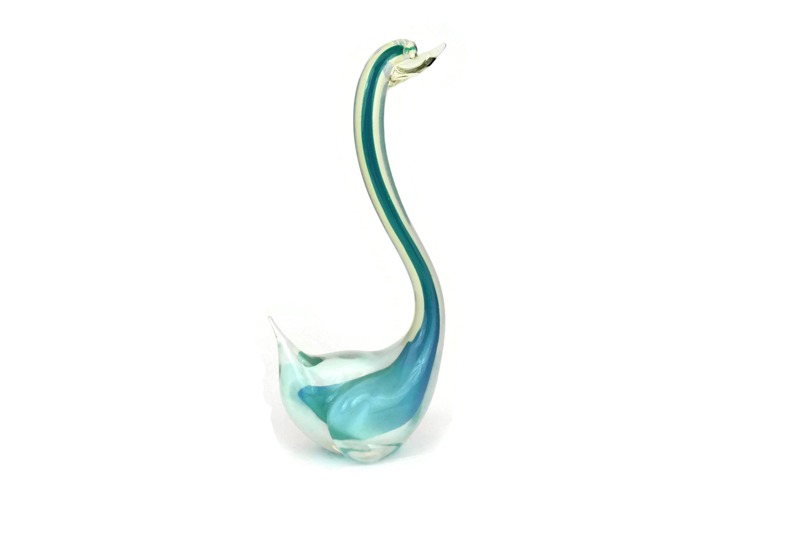 The mid century glass swan figurines are in very condition. 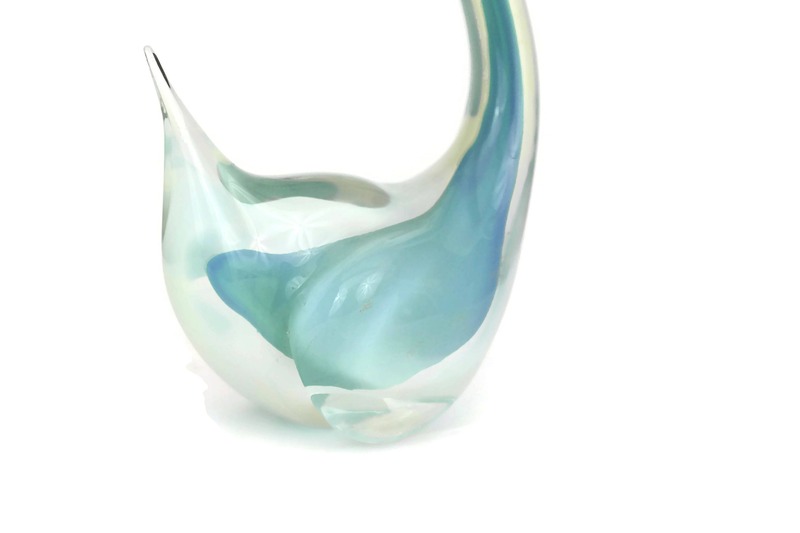 The smaller one has two tint flakes to the base with no chips or cracks. 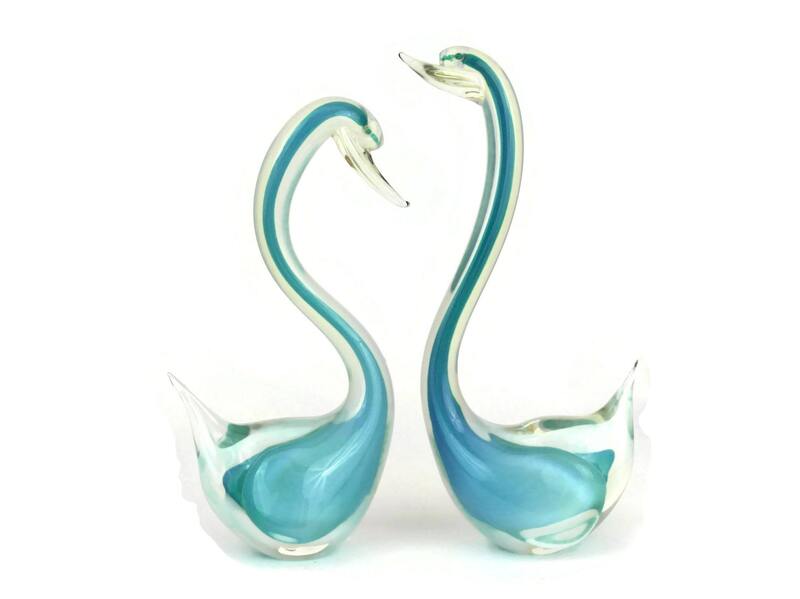 Item ref: Pair of Vintage Murano Glass Swan Figurines. 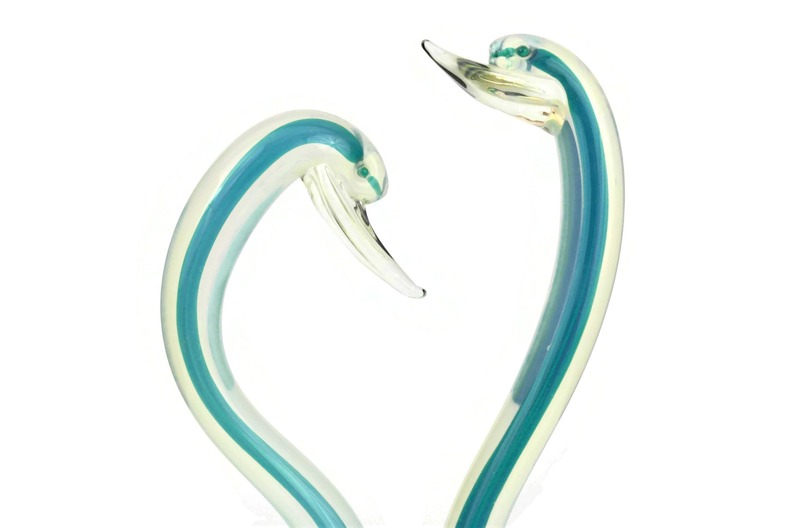 Mid Century Glass Art Sculptures. 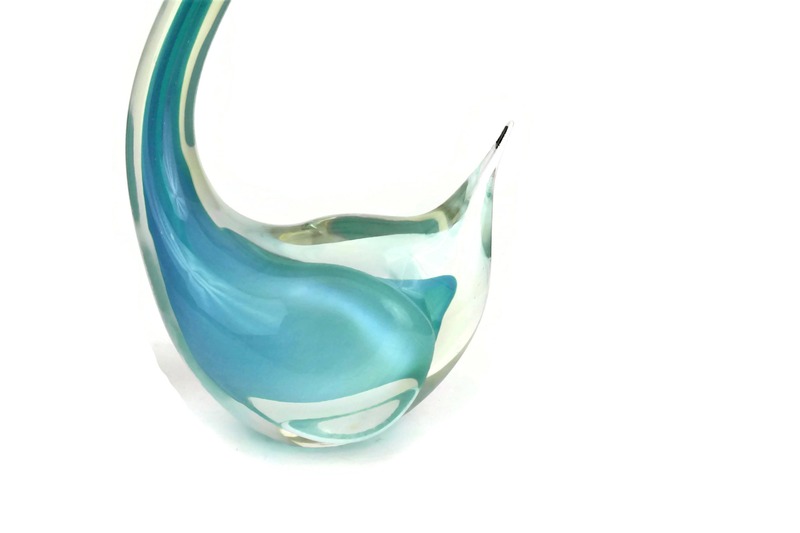 Blue Murano Glass Bird Figurines.